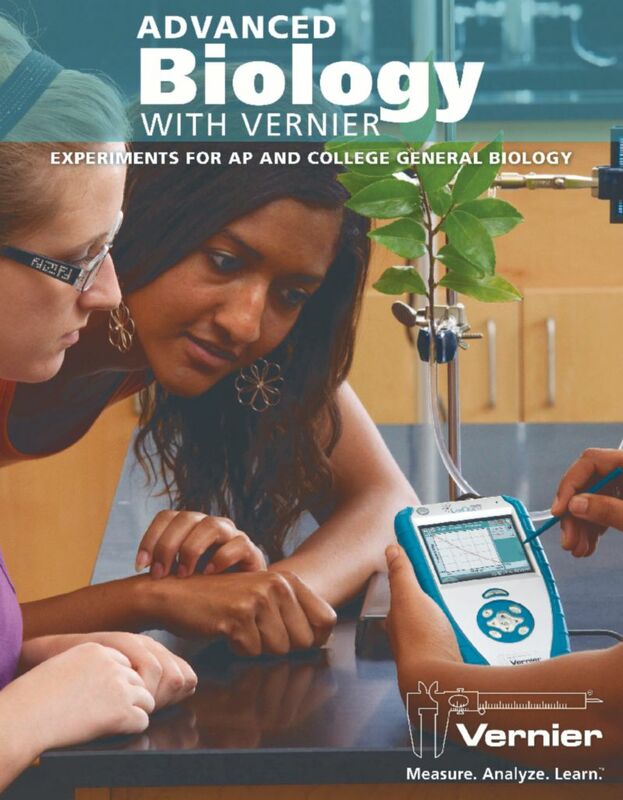 Vernier makes teaching advanced biology easy by providing 17 experiments that can be implemented in conjunction with your Vernier probeware; 12 of these experiments correlate directly with the AP Biology Lab manual. Experiments cover topics such as cell respiration, blood pressure, and many more. The experiments can easily be implemented in your classroom with the following supporting articles: complete student experiments with full instructions, a materials list, data tables, and questions, teacher information for each experiment, and word processing files of the student sections on a CD for easy print-out and editing.